I saw your ABC interview, and let me say first that we agree 100% on the product recall process; it’s broken, and it absolutely must be fixed. You rightly lamented to ABC that for a typical recall, 95% of the recalled items are still in the hands of consumers 5 years after the recall notice. ABC noted in its report that hundreds of new recalls, involving many millions of products, are required each year. These figures are utterly shocking. Imagine our dismay when you and ABC “came out shooting” at craigslist. Last we knew from your representatives, earlier this year, we were taking all appropriate steps to reduce the number of free classified ads for recall items by craigslist users. Contrary to an assertion you made on ABC, we do not earn any revenue from these free classifieds, and it seems you may have been misinformed as to both our business model and what is involved in moderating free user classified, as opposed to the online retailers to whom you compared us. I invite you to sit down with me here in San Francisco, to discuss how craigslist can further assist the CPSC in addressing product recalls. I will clear my calendar and make support staff available for meeting with you and relevant CPSC staffers. Since you, personally, have been the one leading the criticism, I trust you agree it will be time well spent for you as CPSC chairman, and I as craigslist CEO, to meet in person. As added incentive for you to make the trip to the Bay Area (although I imagine you are out here regularly in any event), we also have some practical ideas for curtailing the hundreds of times each year you are left trying to “unring the bell” after millions of faulty products have already been sold to consumers. We’ve learned ABC will soon air a misleading story, “Recall Roulette” that mischaracterizes our efforts to prevent free classified ads for recalled sale items by craigslist users, and falsely accuses us of not cooperating with the Consumer Product Safety Commission (CPSC). Ignoring email and phone calls from craigslist with our side of this “story”, ABC News chose instead to ambush our largely-retired founder, Craig Newmark, outside his home on November 11. Your request for an interview with Craig Newmark was forwarded to me. Craig has not been involved in management at craigslist for many years, and has no role in government relations. He has never spoken to the CPSC about craigslist policy to my knowledge, and I have been managing goverment relations for craigslist for several years. On the other hand, I did have a conversation with CPSC folks this spring, including Ray Aragon, Marc Schoem, and Dennis Blasius. You should know that craigslist (1) prohibits the sale of recalled items; (2) notifies its users that posting recalled items for sale is prohibited; (3) deploys automated systems to help prevent posting of recalled items (4) provides a system whereby users can flag recalled items for removal; and (5) removes recalled items that come to its attention. Based on what I learned in conversation with CPSC personnel, craigslist has further minimized the posting of recalled items by craigslist users. A very positive result, and one that the CPSC seemed to appreciate. We have not heard from the CPSC since the conclusion of these productive talks 6 months ago. As always, our door remains open. This email, and our calls to ABC (not to mention craigslist’s progress on recall items in collaboration with CPSC) fell on deaf ears. If you’re doing a hit piece, you don’t want facts getting in the way. Recall Roulette? More like Journalistic Ethics Roulette. Want to buy a ghost town with a bar and liquor license? Expand it into a unique getaway! Perhaps the most remote “restaurant” in Northern California. 9.8 acres. 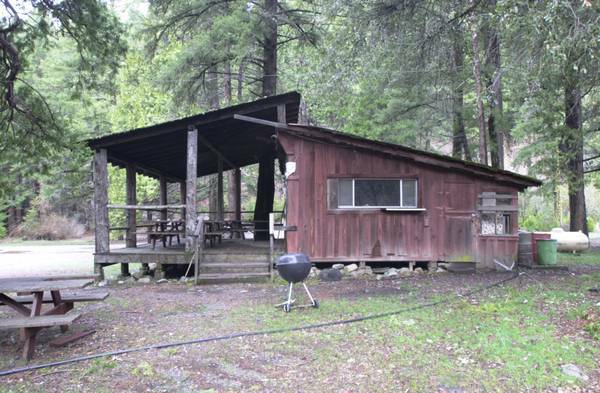 The property includes the “town” and the bar and 3 small rundown cabins and the acreage. Larry Wall, of Perl fame, has joined ☮CL as Artist in Residence. His primary artistic expression will be Perl‘s ongoing metamorphosis. Blessed by laziness, we impatiently await Perl 6. Go TimToady ! Meanwhile a misguided petition wants to ban millions of conscientious CL users from rehoming pets, cruelly dooming countless healthy animals to needless euthanization (no-kill shelters are full). But direct rehoming via classifieds is a solution, not a problem. Countless pets find good homes on CL, saved from unnecessary euthanization (most pets entering shelters are destroyed ). In fact, CL “pets” is a primary tool shelter volunteers themselves use to find homes for dogs and cats they would otherwise have to kill. We at CL love animals (many of us are vegan or vegetarian) and are proud of the overwhelming good CL “pets” does in finding them new loving homes. Let’s honor Kiya by (1) not breeding so many pets, and (2) taking care when a new home must be found (CL permits a small rehoming fee). We’re at OSCON in PDX all week. Drop by and admire/debug our recent releases. Open source software is a many splendored thing. Buzz on street has it that cicada MC ads are on the rise. Now the buccaneering boat has been sold to the History Channel for $80,000, after being advertised on classifieds website Craigslist. “It’s probably the most photographed ship on the Mississippi River,” Woodson, from St Louis in Missouri, told CNN. “We get a lot of kids running along the shore, trying to catch the cannonballs as we go by,” he said, referring to the 4-inch sponge balls shot from the ship. Yes, it is as the title says, come to our moving sale to help two godless liberals get the funds to move to California. What do we have? Books, naturally; some other random stuff that has value but we don’t want to haul across country in our small, fuel efficient car. You’ll be helping to make SC a little more red. Yard sale is FRIDAY MAY 10 starting at 8am and SATURDAY May 11. If it rains on Saturday, like the forecast says, we will also have the moving sale on Sunday, because atheists, remember? Preaching and proselytizing welcome, however it will cost you 10 cents a word to attempt to convert us. Mormons pay double. Mention Richard Dawkins and disavow the Holy Spirit will get you 10% off our already low prices. The much-admired HemLoft, constructed near Whistler, BC from materials bought on craigslist, may be returning whence it came. As reported in the Globe and Mail, “Nearly four years after Joel Allen first decided to build a sleek, wooden tree house hidden away on Crown land in a forest near Whistler, the carpenter is taking it down. Within the next week, Mr. Allen will list the dismantled parts of the tree house, called the HemLoft, on Craigslist – the very site where he acquired most of his supplies.